The article describes the 2016 CIFE awards ceremony at the House of Lords, and lists the individual award winners. 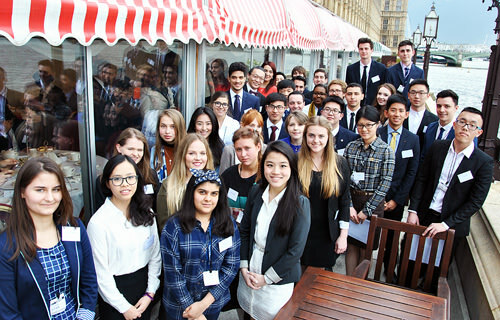 At the annual CIFE Academic Awards Ceremony held at the House of Lords on Thursday, 7th April, Lord Lexden presented thirty-nine awards for academic excellence to students who achieved remarkable A-level and GCSE results last summer. The recipients - some British, some from overseas - were warmly applauded at the presentation, all having studied at sixth-form colleges belonging to the Council for Independent Education (CIFE), of which Alistair Lexden is President. The award-winners typically average 95% + scores in all their A-level exams. The CIFE Gold Award, the top prize, went to Vu Thao Dan, known as Ariadne, from Vietnam, a student at Bosworth Independent College in Northampton, who had obtained A* grades in History, Sociology, Economics and Mathematics, along with other international distinctions. She told us: “I was surprised and delighted to receive a CIFE Academic Award and to discover it was the Gold Award was humbling. All of the other award winners have done so well and I feel very proud to be in their company at the House of Lords. I thoroughly enjoyed studying at Bosworth where the teachers and other staff always inspired me to do my very best and to keep up my other interests too. I felt cared for, as if part of a big family.” Ariadne is now studying Law at Durham University. Lord Lexden said: "Year after year statistics produced by leading international organizations show that our independent schools and colleges provide an education that ranks among the best in the world. 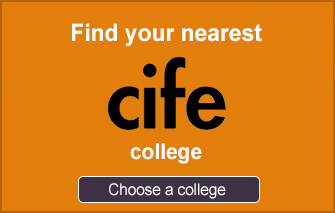 No wonder families here and abroad are so keen to send their children to CIFE’s successful member colleges. Their outstanding A-level results prove once again that they have fulfilled the trust placed in them. Their mingling of great talents and different cultures enrich our country and other nations"
2016 CIFE Award winners are pictured above on the House of Lords terrace. The individual winners are listed below. Check news items on college pages for details of each student's achievements.